Garage Doors, Sliding Doors, Front Doors & More! Replacing your windows can be a great investment into your home. The new tax credits that were released over the past few years have drastically improved the efficiency and quality of windows at a manufacturing level. This means that you can get better quality windows for less than what you would think! While windows don’t pay back the investment right away (like a roof, or siding), they will pay back over a period of time with the energy savings. 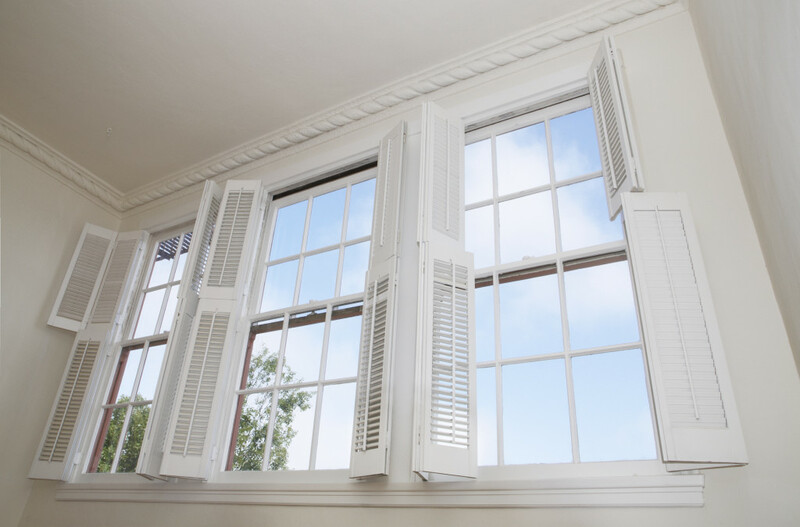 If you notice drafts in your home it might be due to faulty or old windows. A lot of the homes in Hanover, PA are older homes and still have wooden framed windows. Wood will, over time, warp and bend creating gaps for more air to move in and energy savings to, quite literally, go out the window. Your House Is Drafty – First, make sure that the drafts are coming from your windows and not another problem, but if it is your windows, you could be losing a lot in energy costs. Difficulty Opening & Closing Windows – This is a pretty good indicator that you have a problem. If the window wont open or close your window has failed. Beyond the obvious issue of not be able to open your window to enjoy a fresh breeze when you would like to, it also probably does not have a good seal to act as a barrier from the elements outside when that breeze is not so welcomed. Condensation Inside of double or Triple Paned Windows – If you have noticed condensation or a filmy buildup on the inside of your double or triple paned windows, it is probably time to consider replacing them. This is a sign that the seal has failed and the system once build to protect your home is no longer in place. Over all there are many reasons why you would want to replace your windows. You might want to benefit from energy savings or maybe you would just like a new look! Either way we are here to help! ASJ has top notch contractors with decades of experience to help you achieve your goals, whatever they may be!